Buy all four audio courses and save! 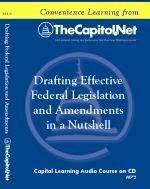 How Federal Agencies Can Work Effectively with Congress and Its Staff and How to Work the Hill Like a Pro and Making the Most of a Site Visit with a Member of Congress and Strategies and Tactics That Will Help You Impact Congressional Action. 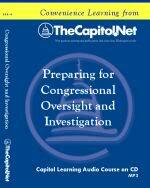 Buy all four (4) Capitol Learning Audio Courses on audio CD. Total run time: 304 minutes. MP3 format. 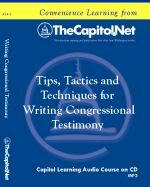 CD includes MP3 audio file and course materials in Adobe PDF . 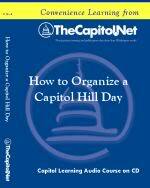 Includes course materials, FREE copy of "Persuading Congress" and FREE shipping in the US. These Audio Courses are sold with a Limited License. This Special Offer applies only to the CD version of these audio courses. 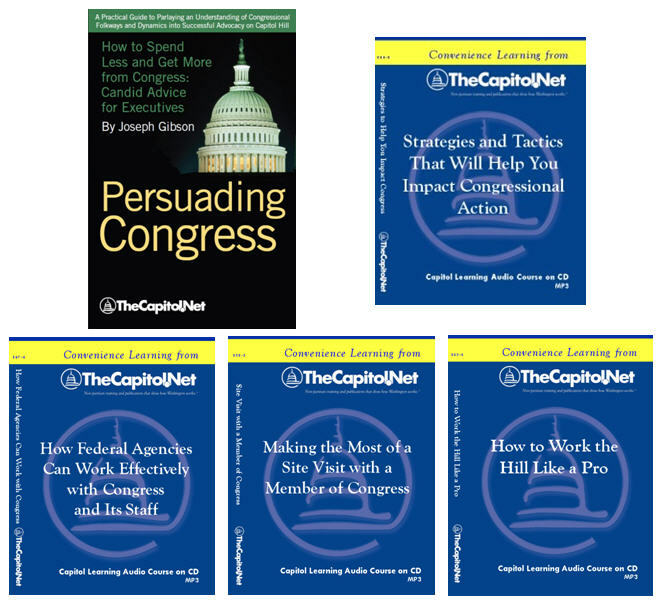 These Working with Congress and Congressional Staff courses and any combination of their topics are available as custom on-site training programs for your organization. We have tailored our custom programs for attorneys, program analysts, lobbyists, paralegals, military officers, FSO's, SES, Inspector Generals, legislative assistants, and others. For more information about how our training can help your members and staff, please contact our client liaison.